Bio: Griffin Campbell has performed throughout the US and in South America, Europe, and Asia, including performances at meetings of the World Saxophone Congress, NASA, SCI, SEAMUS, and ICMC. Recordings can be found on the Capstone, Cat Crisis, Centaur, EMF, Innova, SEAMUS, Vestige, and WorldWinds labels. He has conducted seminars in saxophone performance at universities, conservatories, and conferences throughout the United States and in Bolivia, Brazil, Italy, Argentina, and China. His musical explorations include nearly every style and genre. 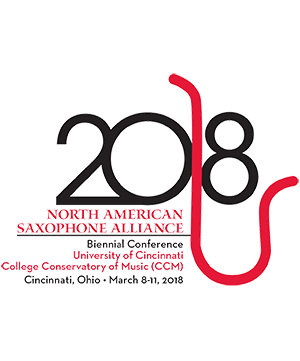 Campbell is President of the North American Saxophone Alliance and Bayhi Alumni Professor of Saxophone at LSU, where he has taught since 1984. He is a Vandoren and Selmer Artist. Gregory Sioles Piano Gregory Sioles has been the recipient of numerous honors and awards including an Atwater Kent Grand . . .